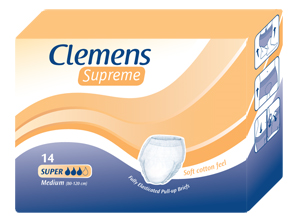 The Clemens Supreme range of pull-up pants combine the latest technologies in a soft, comfortable, simple-to-use product. Resembling normal underwear, the pants offer benefits for users with an active lifestyle and can prolong independence. 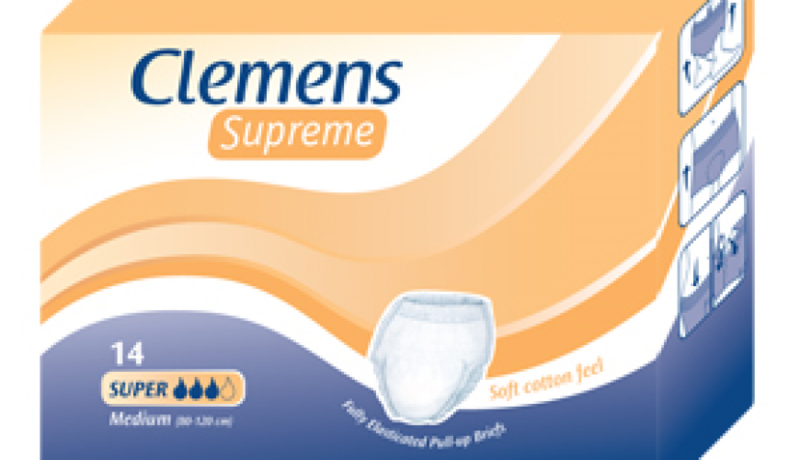 Full elastication ensures that the pants will fit closely and can be worn with confidence.